Lower: some unsettling music for Friday. Sometimes uneasy listening is the best kind of listening. Don’t get me wrong; I’m as much in love with an obvious tune as the next person, but a song, an album that you have to work at is often more rewarding. I’ve liked Low ever since a friend introduced them to me over 20 years ago. I liked their loud/quiet, the songs that seemed to defy categorisation (‘Slow core‘ anyone? I thought not...) and the moments of real and fragile beauty made all the more apparent by what surrounded them. Even though I know some of their songs very well (‘Death of a salesman’, which I think is one of the most profound songs ever written and one of the few that I can play and sing without chord charts) I never quite ‘know’ them; they are impossible to define. I’ve seen them play half a dozen times in both large and small venues and always been moved by the experience: it has often seemed more like a secret cult at worship than a mere gig; sometimes you can hear the cliched pin drop. Give me that many times more than the facebook photos of ‘Look, here we are paying stupid money to sit 200 meters back from someone really well known whilst we drink overpriced beer’. The genesis of their new album has been covered elsewhere (Google ‘Double Negative’ and read the reviews), certainly better than I ever could. Is it double their usual slow and introspective mix, or do two negatives make a positive? I think a bit of both. It took me several listens to get into before its charms began to weave their way into my soul. Like life, it is full of ‘uglybeautiful’ moments; a song has moments that jar, soothe and then jar again. This means that when the beauty comes, it is all the more startling. Even after 2 weeks of living with it, I am still playing it and finding new things to appreciate and move. It is not the kind of album to listen to in bits or as background. I could go on, but I’ll close with the last song: I like the way that this homemade video uses feet to show that the journey goes on. Author GrahamPosted on February 1, 2019 January 31, 2019 Categories LowLeave a comment on Lower: some unsettling music for Friday. On the 12th day of Christmas…. This is the only Epiphany ‘rock’ song I know. I have used it so many times. A highlight of my gig going was once seeing this band perform the whole album that this song is from. I like the quiet, reflective nature of the song. I like the sense of ‘we have seen and now what will happen?’ They had to go back by a different way. Maybe in one sense, they never ever went ‘back’- they couldn’t; they were changed. I like this sense of Epiphany- there are no maps. Blogging has been part of me; the decision to stop/take a break means there are no maps. To grow you often have to go beyond where the maps exist. Indulge me with two more songs, since this is my last ‘Friday Music’. I have used these songs a number of times on here: they have influenced much of my writing and thinking and, one day, they will be my funeral songs. This is not my favourite U2 song, but it is the song that set me off on a journey years ago of ‘there is more out there’; I still haven’t found what I’m looking for- I know, but I don’t know. These words always speak deeply to me about faith, reality and human nature. This song gave me the prompt to write an MA thesis on U2 and theology and taught me a lot about ways of communicating faith to people who might be hostile to it. A prominent artist in the camp I used more readily identify with rewrote this as ‘I’ve finally found what I’m looking for’. Words cannot do justice to what I think about that, but it heightened my distaste for ‘Christian rock’ and gave me a distrust of those who, faced with mystery, lament and questions want to cover them up with easy answers. I bought a book about 20 years ago called ‘Grain in Winter’- a beautiful book of thoughts, insights and anecdotes from a minister who had retired early with illness. I didn’t ‘get’ it all at the time; I mostly do now. It encouraged me to think, see differently and be open to strange, sometimes disturbing, insights. In it he had the lines ‘Ring out the bells that still can ring; forget the perfect offering. There is a crack in everything; that’s how the light gets in’. I was intrigued; I’d heard of Leonard Cohen but never listened to him. After getting that book I began to listen and found a prophet of the human spirit who helped me more than I can say. If I had to chose just one song for a desert island I would choose this one. I always get something new out of it and it always moves me. for it is time to seek the Lord. I find those words really powerful at the moment. Maybe a sabbatical is a time to do just that- break up fallow ground, dig around a bit- work out what I’m doing, attend to stuff I leave or shut out. Author GrahamPosted on January 6, 2017 Categories Leonard Cohen, Low, u2Leave a comment on It’s all over now. This was the only video I could find of this song on youtube. It is from the greatest ever Christmas album: Low: Christmas. 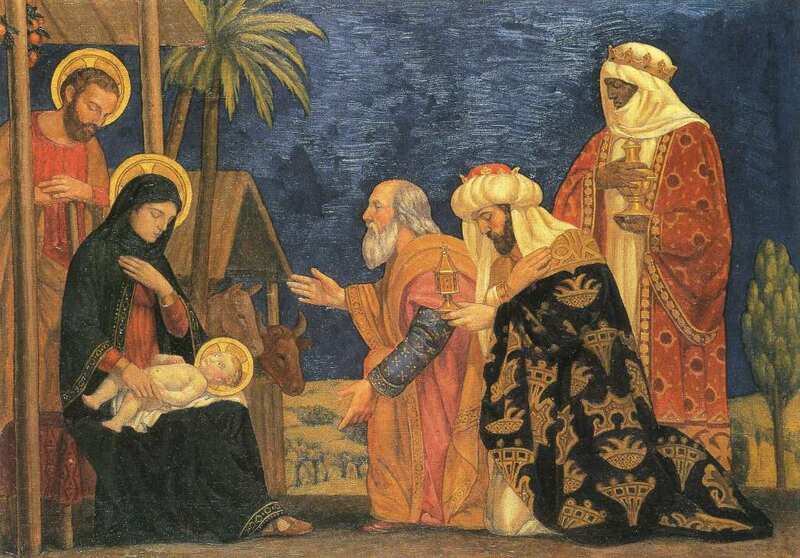 It is selected for today, or course, as today is Epiphany- 12th night; the last day of Christmas. I was forced to take our decorations and tree down at the weekend, but in an alternative reality where all my whims are indulged I would have done so today. I would have done that to be different- Christmas does not go from November 1st- December 25th, but from midnight on December 24th to today. Once again, Low captures the melancholy mood of today: the lights go out, the tree is down and it is still dark. I am cheating by having 2 pieces of music my the same group in the same week, but I got to see them 2 days ago and I am still excited. Live music always does it for me: live music in a Cathedral whilst with a good friend even more so. This is Low at their best: exquisite harmonies, slightly twisted lyrics and almost totally stony faced. I don’t really go for straightforward…..
Just occasionally I get to travel to the big city. Today is that day: off to Manchester after work to see ‘Low’- a band a friend and I have followed for years. We have seen them in various venues, but this is a first: Manchester Cathedral. Several times I thought of cancelling: illness and death of my father in law, late nights don’t work for me as I age & a long journey through bad roads. I have a self imposed ‘diet’ on buying new music; the result of moving to a new house where we cannot fit everything in and are having to downsize. I made an exception for Low though. I’ve liked them for years, since a friend introduced them to me and must have seen them over half a dozen times. I like music you have to ‘grow’ into; whose subtle tones take a while to insinuate themselves into your soul. Low have always done that- as the name implies; low, sometimes mournful and always slow. I have a new car. Well, I have a lease car: I need one for the amount of miles I do and the prohibitive wear and tear that would have resulted on our one car. Apart from the colour (yellow) I think I am most excited about the fact that it has a usb port. I have an aged ipod- a kind gift from a friend- and have hooked it up to the car and am listening to a shuffle of edited highlights of my 800 or so CDs. From time to time something comes up that I do not know or have not listened to for a while. Ok: there are not 3 of them and they probably weren’t kings (read Matthew 2), but I had this carol yesterday. (1) Yesterday I went to a service for the closing of a chapel. I have never been to one before, but it had all the elements that I would have accepted: thanks, sadness, joy and lament. That is as it is supposed to be- enforced jollity at funerals: ‘no tears’ is plain wrong. (2) This Christmas, partly due to being the only Rev resident, I have done more funerals/funeral visits than ever before. I actually need carols like the one above to show me that the story has sorrow, dying and pain as well as joy and Hope. If Christmas has none of the darker side (and no Christmas is complete for me without playing the whole of ‘Low: Christmas‘), it is pretty empty. It is my annual birthday today. I will probably go walking: I increasingly like wild places and solitude. Around 9 in the evening (as I am childminding up to that time), some stragglers from the pub may make it to our house for malt whisky and cheese. Almost a perfect day. Every Friday I put a piece of music on here that means something. As it is my birthday, I will cheat; you can have 5. All of these, played together sum up my life, hopes, aspiration, philosophy and theology. I still struggle with the Christian artist who changed the words to ‘I finally found what I am looking for. This will be at my funeral. Maybe another funeral song and the only artist on here I have not seen in concert. The lines ‘Ring out the bells that still can ring; forget the perfect offering. There is a crack in everything; that’s how the light gets in’ have become something of a mantra. This song, from the moment I first heard it, made me stop and gulp. It still does: perfect. In November he played our village hall and deviated from the set to play this as I told him it was a song that saved my life. I have applied this song to music, life, theology and art…. struggle to see, hear, sing,take part in stuff that says nothing to me about my life.